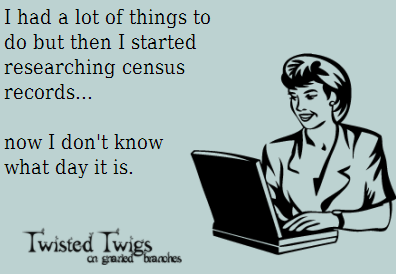 Sticking with our census theme, keep in mind census data is usually going to give you estimates. Even so, using averages, you can *usually* come to something close to the truth. If you find a census where your great Aunt Joan’s birth year comes to 1888, another where she is born 1887, another at 1888, then another at 1889, you can estimate she was born in 1888. Now, she may have been born in 1887 or 1889, but 1888 is still a great guess that is going to help you get closer to the truth. One tool I use when searching censuses for someone is to give myself around a 5 year range to look, if I have a good idea of when they were born. So for Aunt Joan, I would use a range of 1886 to 1890 when searching, considering that her birth could be listed as any of those years. Don’t discount those finds you make that look like they may be the right person but the year is off a bit in census data. Look closer-it may be who you’re looking for! 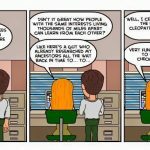 Cousin Connection Tip #9: What’s That Sound? Although census records are a great way to add family to your ancestors fast, there are little tips and tricks that can make them a bit more useful. One thing you should know about is the Soundex system. 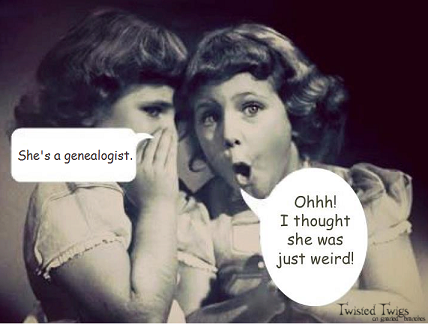 A lot of genealogical search engines use the Soundex to widen results to include names you may not have thought were related to your own. Our ancestors didn’t necessarily spell as well as we may now, and census takers often simply spelled things phonetically, especially when dealing with new immigrants whose names might have been difficult to understand. The definition of Soundex, from Wikipedia, is “a phonetic algorithm for indexing names by sound, as pronounced in English.” It is amazing how this algorithm helps us. If you have ever spent time in a historical library, you’ll have seen this system in use. Without getting into the exact details, which are expounded on on the Wikipedia page, as well as numerous others, what it does is takes letters that look or sound similar and put them in a similar group, so when you search for a name that starts with B, for instance, it will also pull up names with similar following consonant sounds that begin with F, V, and P. When you get your FamilySearch results and you get Potters in with your Butters, this is why. It’s a good thing-your friendly neighborhood census taker may have misheard and put Potter down thinking Butter didn’t sound correct. Do not discount those results that seem odd-look at the folks in the household, where they lived, and their ages. 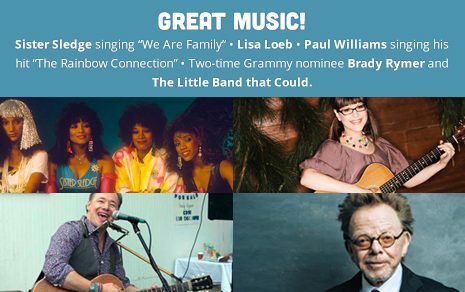 It just might be your family! 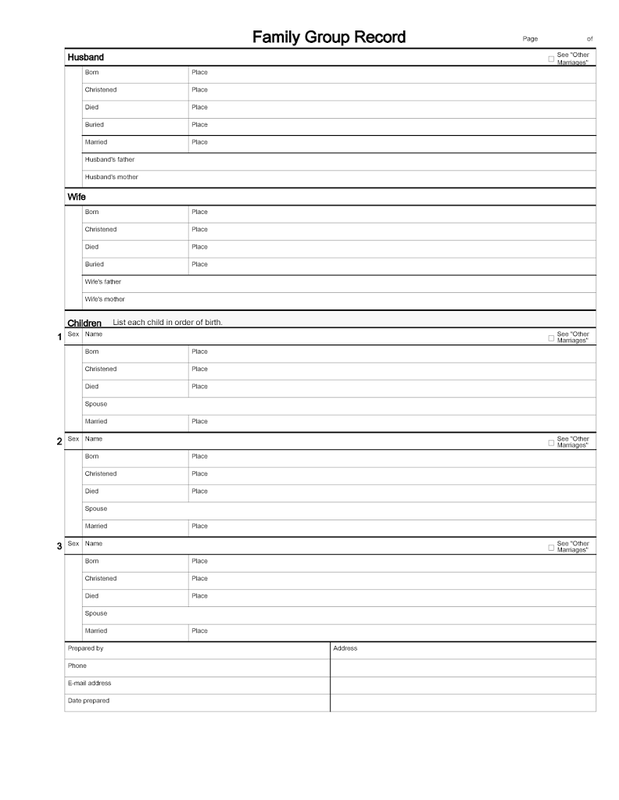 Sticking with the theme of sources, one great source to use to start filling in a lot of blanks fast is a census. Most areas use some sort of census to keep track of the growth of their population. The most recent one available in the US is the 1940 census, while Canada and the UKs most recent released is the 1911 (following their 100 year rule). The kind of information these usually give you is the head of the household, the spouse or if the head was widowed, and the children living in the house at that time. Though you can’t depend on them 100 percent, they are fantastic sources to start with. From them you get a general idea of the birth year-most are estimates unless the taker specifically asked for the year, where they were born, an occupation, where their parents were born, and if you take the time to look at the neighbors, you’ll often find other relatives or future in-laws. All this information, even when just an estimate, can be quite helpful for finding future sources and ancestors. A great place to access many census is through FamilySearch.org (it’s free!). 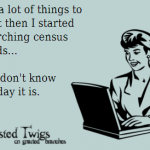 If you know your great grandparents’ names, general birth dates, and places you can usually find them in a census somewhere. Depending on your age, you may even find your parents or grandparents. The US has census data back to 1790, but the most useful censuses, especially for beginners, are from 1850 and after. The UK started taking them regularly in 1801, and every ten years after. 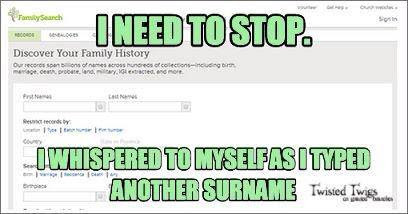 Check out familysearch.org (or if you have a subscription somewhere else like Ancestry.com) and find your family! If you know of a great site to access the census data for another country, let us know about it in the comments and we’ll add the links to this post. 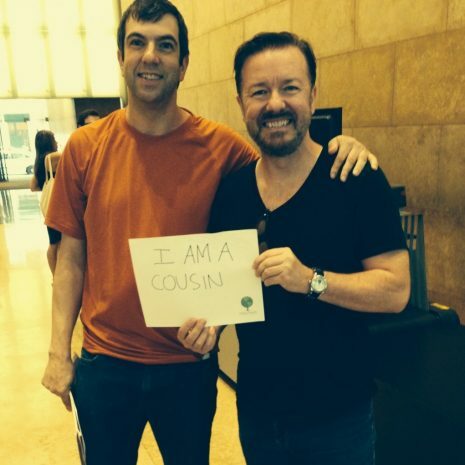 We know we tend to be US-centric, but want to make sure we’re helping *all* of our cousins. 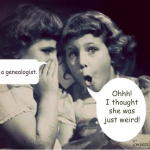 One thing that will keep coming up when you run with genealogists of any sort are sources, like we talked about last time. They are just *that* important. No matter what the source, be it the 1790 United States Census confirming your fifth great grandpa’s home in Virginia or the back of the cereal box that told you George Washington’s mother’s name was Mary Ball or the parish records from Zbiroh, Bohemia showing your second great grandmother’s birth date, you need to put it in your notes. That includes family stories. Family stories can be great for little clues to big finds. One thing I have loved to do for years is to take my notebook (or smartphone for you savvy sorts) with me to visit relatives and take notes about the stories they tell. When your grandfather starts talking about his grandparents living in Sweden, their profession, what their trip over on the ship was like, where they settled, that child who died in infancy, the other one who married the doctor in that small town in Minnesota, and so on, all of that is great to use for clues in your search for where your family was at certain times. Sources tend to lead to other sources, and family stories are great for that. One caution with family stories-they aren’t always true! That doesn’t mean they won’t help, though. My family had a story about my third great grandfather that had been in the family for ages and was rather beloved. I was the unfortunate bearer of bad news as I got further into researching our heritage. The story was that that grandfather had been a member of the Scottish navy and had gone AWOL while on leave in Nova Scotia, changing his name from Saxton to Brown and starting a family there. Well, his name was always Brown and he immigrated from England, not Scotland, with his young wife to be a miner and raise a family. No navy. No name changes. But there was truth there-he did live in Nova Scotia, he was an immigrant, and his name was Brown. All those correct clues helped me find the truth and add to my family lines. No matter the story-that you’re descended from Thomas Jefferson or that your great Uncle Jim Bob owned the service station is Sapulpa-they are sources, and should be put down as such. 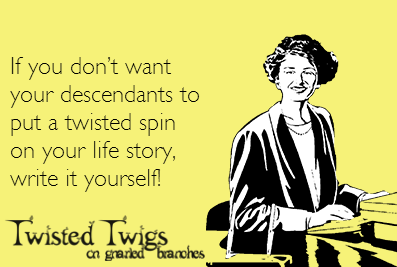 They make great additions to your own story, too, giving you an idea of who your ancestors were. 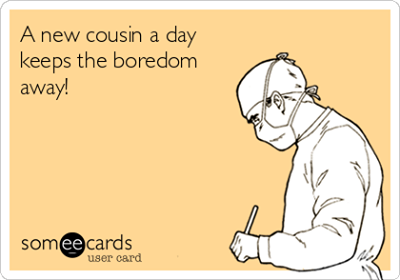 Every member and detail to your story you can add will help get you one step closer to finding how you’re a cousin to all of us. 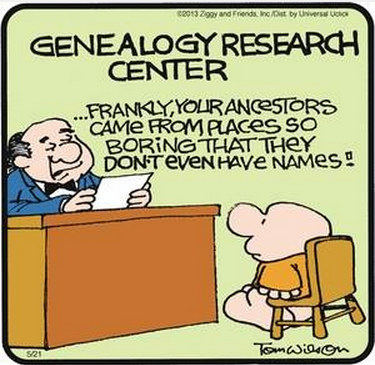 By now, you have a great jump on your family research. One important thing to look for or ask for when tracing your family is sources. Sources. Sources. Sources. What’s the big deal? Sources make all the difference when someone is looking at your research, or YOU are looking at your research later, in telling you how do you know what you know. This may seem like a tedious step but it will help you and those who look at your tree so much. How do you know that Jim Jones is your grandfather? You know him personally. Put that in a “sources” section whereever you have your research. He was born in 1936 in Atlanta, Georgia, USA. How do you know that? He told you and showed you his birth certificate. Put that in the sources section. We’ll talk more about places to find sources later, but for now, just put down how you know what you know. Don’t let anyone tell you a source isn’t good enough, at least for now 🙂 The most important thing is you know where you found your facts. 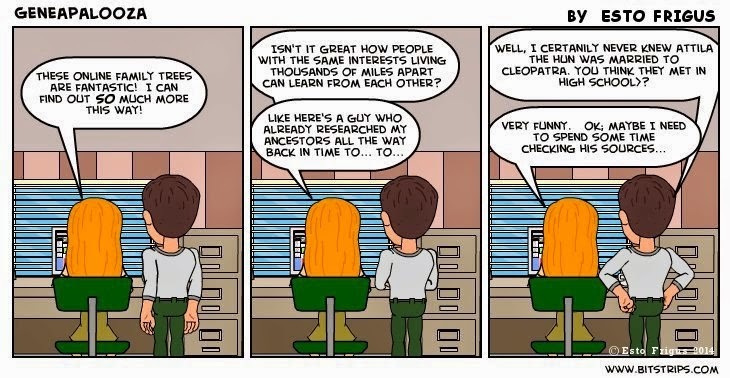 Later, if you find a different source and want to compare, or find a differing point of view, you’ll be so glad you did and the other folks out there researching their families will be happy you did, too! 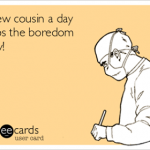 Another week, another opportunity to find more cousins! Last week we talked about dates. 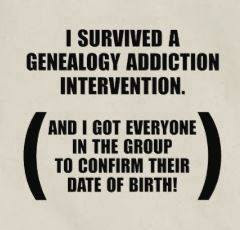 Those dates are super useful for finding your family, especially if you’re using a collaborative genealogy site. Something else that is handy is finding out places. Especially when you are dealing with popular names, places can make all the difference. Ask your family where folks lived, worked, were born, married, or died. These are all helpful clues that can point you to possible sources to back up your family information. An example of this being important is if you have an ancestor named Michael Armstrong born in 1915 and married to Margaret Perry. Later, when we start looking for sources, say we find two sets of Michael and Margaret Armstrongs, with birth dates around 1915. How do we know which ones are our ancestors? We look at the places associated with them. Michael and Margaret number one were living in Baltimore, Maryland when the 1940 US Census rolls around. Michael and Margaret number two were living in San Francisco, California during that census. Say that your grandpa is Joe Armstrong born in 1941 in Baltimore to Michael and Margaret. 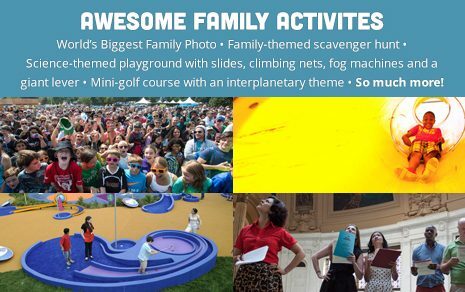 Chances are, the family you want is the one in Baltimore. Places help so much in tracking down your family. They can also give you an idea where to look for the family if they tended to move a lot. Dates are a great first step, places are just as important, and not just for births. Find out where people lived! 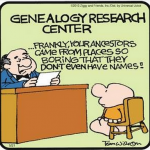 As you are going along entering your family in one of the fantastic collaborative genealogy sites we talked about last week, an important thing to include are dates. This may seem obvious to some but not so much to others.They make a huge difference when trying to connect with others, because they can help you see whether someone is even remotely a close match with your own ancestors. But, what if you don’t know a date for someone? A death, birth, christening, high school graduation, or marriage date can all help you get a timeline for someone. Some sites require a death or birth date to help their searches. How would you figure out a good estimate? If you have a death or birth date, you’re set. If you have graduation dates then you can estimate they were born 17-20 years earlier. First marriages tend to happen in your early to mid twenties. If you know when one of their children were born, you can generally estimate that they parents were born 25-30 years earlier. Keep in mind, these are all estimations, and can be changed later if you find records to give you a better idea or exact dates for a birth date. They can be the the one thing that saves you from accidentally merging Joe Jones born circa 1800 married to Sue Brown with Joe Jones born 1940 married to Sue Brown. 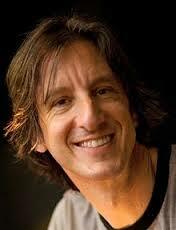 Make the best you can-it really makes a difference! 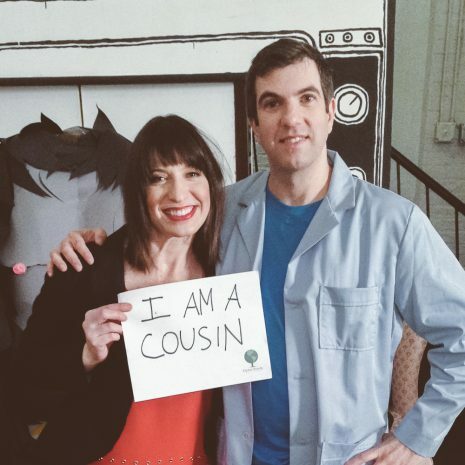 Cousin Connection Tip #4: Collaborate! So far, we’ve interviewed our family, put together a pedigree chart so we can easily see our tree, and we’ve started on those family group sheets which help keep track of all the little details associated with our various families. I hope you’ve got a binder or something for all this-it starts to add up with time! In my own research I always get excited when I can get a little help from a friend…or a cousin, right?!!!? How do we go about doing that? Well, though there are still a lot of things we can do on our journey to finding our cousin connection, a great place to start looking for help and to share/store our family tree is on a collaborative family history site. Two sites in particular are helping AJ in his quest to connect the world in a giant Kum-By-Ya circle, and those are WikiTree.com and Geni.com. 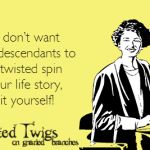 Both are fantastic places where you can add your family and then work with others to get some help in connecting you to the big old family tree. 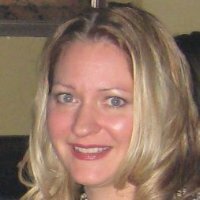 WikiTree is a collaborative site, 100% free, that focuses on working together on our shared ancestry using tools like their G2G forum where people can ask for help on research, merging shared ancestors to meet the site goal of one profile for each person, and connecting cousins via Projects and Categories. Geni is a collaborative site, with two levels of membership, a free one where you can add your tree and start looking for connections, and a paid membership that allows you to get more involved in merging and making connections. 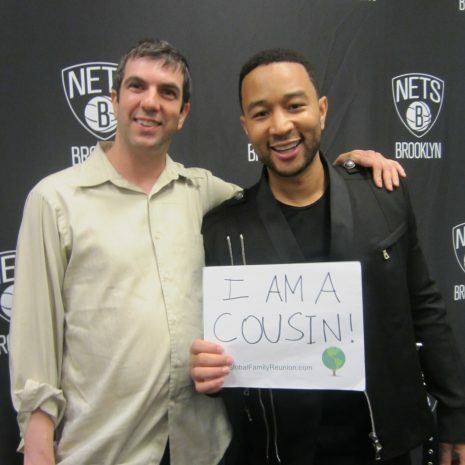 Members can work with other cousins to find connections, and join one of their projects. They have great resources in their Projects and Message boards . There are so many things on each site to help with your research, and we’ll make sure to cover those tips as we come to them. For now, just join-that’s it. Pick a site, and set up your account, add your parents if you get the time. Hello Cousins! We’ve got another tip for you this week. After putting all your grandparents in order last week, you may be left with information on all their children; not just your parents. What are you supposed to do with that? Is it really useful to you? Of course it is! You’ll soon learn as a family researcher that those lateral connections can offer great clues when you are having troubles figuring out who is who. You want to keep all that information as much as you want to keep your grandparents’ information. One great way to keep track of it is using family group sheets. Pedigree charts from last week do an excellent job of helping us see our direct line, but for each set of those parents, there is a family attached. I like to write the page numbers of the family group sheet to corresponds to someone after their name on the pedigree chart so I can find them quickly. 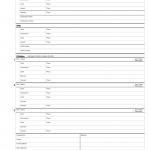 A family group sheet simply helps you keep the information you have on a family all in one place. You start with the parents at the top, usually, then fill in what you’ve found for all their kids, like birth dates, places and spouses. These, like pedigree charts, are easy to come by via free download on the internet. It may seem unnecessary to keep all this on paper with all the great online places to keep a family tree, but even in a digital age, paper copies of things are so beneficial. Showing what you’ve found to family is easier; if you are without internet but want to check on something, you have access; and if aliens attack and the world falls to pieces, you know who your Great Uncle Zadok was named after. This chart from BYU (http://sites.lib.byu.edu/familyhistory/wp-content/uploads/sites/31/2009/06/family-group-record.pdf) is one of my favorites because the information is kept tidy and there is plenty of room for little notes.